Still looking for that Customer Service you have been promised? Others talk about it but we deliver it at VDO Communications. VDO Communications was founded in 2009 on the principle of honest, ethical, competitive business and a solid reputation of fulfilling promises and delivering products and service that will make a difference. My name is Ray Welch, and as the owner and founder of VDO Communications, I can make and assure delivery of that promise. I have been providing world class customer service for over 30 years. 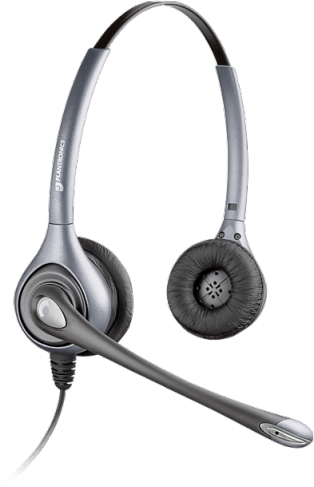 As a Senior Account Manager at BellSouth and most recently, a Senior Territory Manager at Plantronics, I have combined my degree in Computer Science with these years of customer service to make the commitment to provide accurate and timely solutions to all your telecommunication projects. VDO Communications was designed to be a one-stop shop – from headsets to telephones to computers, to state-of-the-art video conferencing or any special application, we are here to help you. And, you have our commitment that you will receive the best possible pricing. Our customers include some of the world’s largest corporations, hospitals and all branches of the military and government to the smallest one person work-at-home professional. No project is too large or too small. Louisiana is known for its southern hospitality and Bossier City, Louisiana is the home of our modern Office/Warehouse facility. Timely delivery of your order is very important to us. 99% of orders received by 4:30 CST Mon-Fri will ship the same day. Finally, you can trust our staff to do everything we can to make your business run smoothly, efficiently and cost effectively. Locating many of those hard to find items is one of our specialties. With over 30 years in the industry, we have connections you can count on. At the end of the day, you will find your partnership with VDO to be a great value. Your business is very important. Because we are a small company, you will make a difference to us. You certainly have our pledge that we will make a difference to you. God Bless and have a great day.